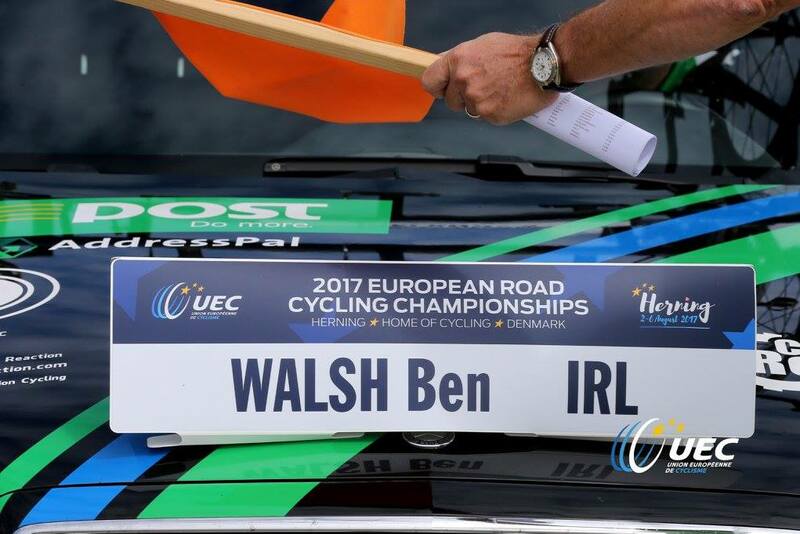 Ireland’s Xeno Young and Ben Walsh have shone at the European Road Championships in Denmark today. 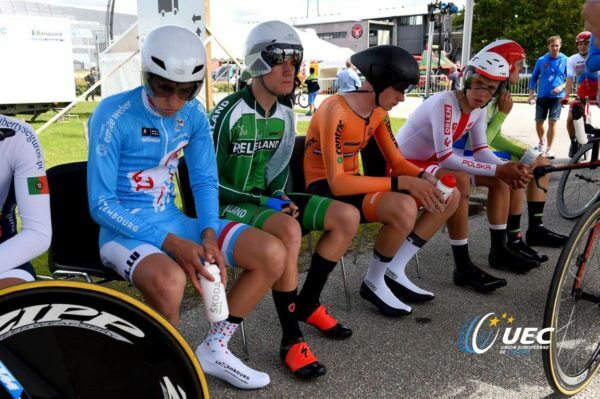 They were competing in the 32km junior men’s TT. Young took 11th place and Walsh wasn’t far behing, placing 17th. Andreas Leknessund of Norway took the title; flying around the course in an average speed of 48.9 km per hour. He clocked a time of 39:16 which was 14 seconds faster than Julius Johansen of Denmark. And rounding out the podium 19 seconds off the winner was Sébastien Grignard of Belgium. Young was 1:19 down and just one second of a place in the top 10. Walsh came home 1:48 off the winning time. Their 11th and 17th places respectively bode very well for the future, coming as they did in a field of 52 riders. Xeno Young last month won silver in the individual pursuit at the European Track Championships. And Walsh has enjoyed a fantastic road season. His leading the Junior Tour of Ireland from start to finish is just one among several impressive wins to date. Also in action today were the junior and U23 women, though Ireland had no riders in those events. Tomorrow is a very busy day at the championships for Ireland. It is one where the Irish riders can really challenge for a medal. Eileen Burns is in action in the 31.5km elite women’s test. 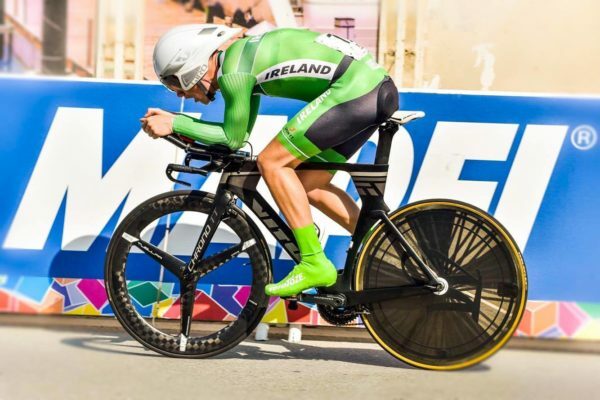 Michael O’Loughlin and Eddie Dunbar ride the U23 TT over the same distance. Ryan Mullen is Ireland’s sole representative in the 46km elite men’s TT. There are just 34 riders in the elite men’s field. And while there is some real quality among the starters, the top layer of European time trial riders is missing. That is a factor that simply adds to Mullen’s already excellent chances of claiming a medal and even winning. Both Dunbar and O’Loughlin are also highly fancied in the U23 race and are real medal prospects.